Showing results for tags 'Scott Frost'. 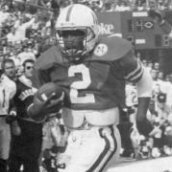 http://journalstar.com/sports/huskers/life-in-the-red/driving-for-frost-s-fight-against-mediocrity-former-vols-aide/article_522d3fce-1b31-11e8-bbdf-43db1a6d9b09.html?utm_source=dlvr.it&utm_medium=facebook This might not make a big impact, but one great thing I see about the morning practices is the early Saturday games. It seems like for as long as I can remember (mid 2000s, i'm only 25) the Huskers have started slow and been lethargic in the Saturday morning game slot. Maybe morning practices having kids used to being awake and moving will help knock off some of that! HUSKER POWER IS BACK! 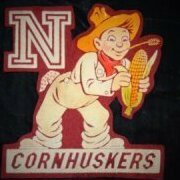 http://www.omaha.com/huskers/carriker/carriker-chronicles-boyd-epley-on-regenerating-husker-power-zach-duval/article_5b9b9a55-04f0-516e-938d-07141aa039da.html The Omaha World Herlad's & former Cornhusker Adam Carriker interviews former Nebraska strength coach Boyd Epley. Topics include: How our new strength coach Zach Duval is brining back the original "Husker Power" way of training. Insights into how the previous staffs trained. A story of just how powerful Scott Frost truly was during his playing days...and how he still is! I realize this isn't Husker Football related necessarily, but I think with Frost possibly coming home and all Huskerland paying attention to this game it's worth starting a thread for this game. GO KNIGHTS!!!!! "Nebraska is simply not the program it once was when Osborne and Osborne’s legendary predecessor — Bob Devaney — were stalking the sidelines and steamrolling the competition with their I-formation and triple-option offenses. If the Nebraska job were such a great job then why are the last three coaches hired named Bill Callahan, Bo Pelini and Mike Riley? This sounds like a pool of candidates for NC State, not Nebraska. " Orlando Sentinel full Article Here Momma might be calling, Scott.